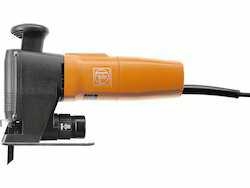 Sawing can be an easy task with FEIN Jigsaws & Hacksaws. For precise cuts in steel (up to 10 mm thick) or wood (up to 60 mm thick) and for cutting and machining profiled sections or plastic, steel and ductile cast-iron pipes with a diameter of up to 440 mm. FEIN jigsaws can’t fail to impress due to their durability, optimum performance and first-class results. What is their secret? In terms of stroke and gear loading, they are consistently designed for tough applications in the metal sector. 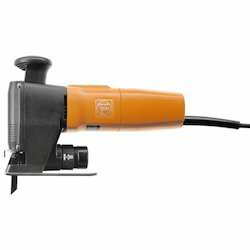 The integrated electronics ensures that FEIN jigsaws constantly maintain their stroke setting at the required level even under heavy loads, for an optimum cutting speed – without excessive saw blade wear. Saw blades matched perfectly to the job in hand and professional accessories like the FEIN clamp and feed device for pipes and round material make light work of even tough sawing jobs. Try them and see for yourself. 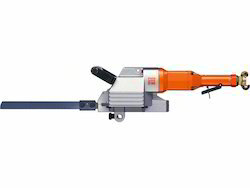 We are the leading and prominent Manufacturer, Exporter and Distributor of Fein Jigsaw ASt 638. 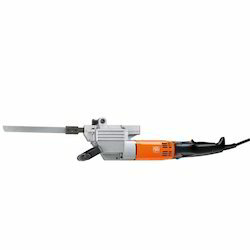 We are the leading and prominent Manufacturer, Exporter and Distributor of Fein Jigsaw ASte 638. We are the leading and prominent Manufacturer, Exporter and Distributor of Fein Jigsaws ASte 638. Ideally suited for trimming pipes and shaped section made of steel, cast-iron, autoclaved aerated concrete, and plastics. Clamp and feed device available for profiles and pipes from 80 mm to 400 mm dia. Adjustable clamping devices permit miter cuts up to 45 degrees as well. 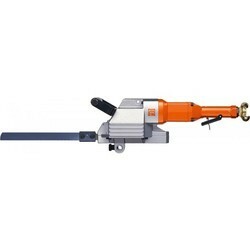 We are the leading and prominent Manufacturer, Exporter and Distributor of Fein 440 mm Hacksaws for Pipes AStxe 649-1. 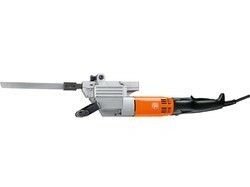 We are the leading and prominent Manufacturer, Exporter and Distributor of Fein Pipe jigsaw AStx 649-1. Adjustable clamping devices permit mitre cuts up to 45 degrees as well. Looking for Jigsaws and Hacksaws ?